On October 8th, 2018, South Dakota will celebrate Native Americans' Day, an observance that commemorates and honors the First Americans. In all, nationwide, there are 580 tribes recognized by the federal government. In South Dakota, there are nine Indian reservations and designated tribal land areas set aside for the seven bands of Siouan people, the Oceti Sakowin, who lived in the region: Cheyenne River, Crow Creek, Flandreau Santee, Lower Brule, Pine Ridge, Rosebud, Standing Rock (which extends into North Dakota), Sisseton Wahpeton and Yankton Sioux. Categorized as "hunter/gatherers” by archeologists, these people developed different cultures in nearly every corner of the North and South American continents. 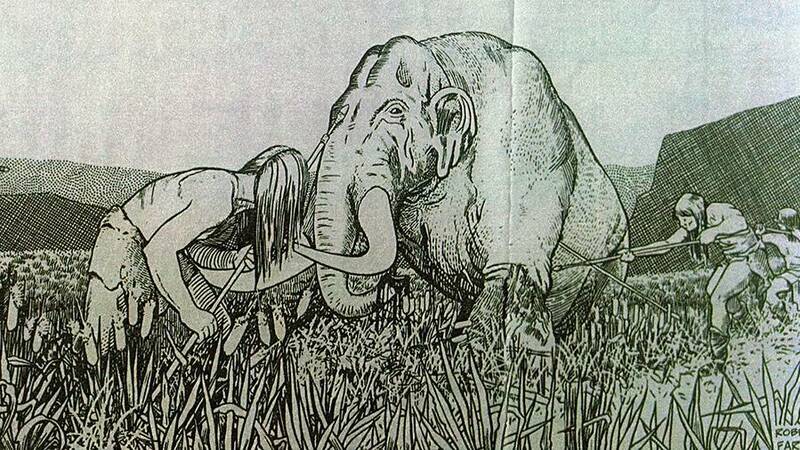 Some were farmers raising grain, corn and other seed crops; some were strictly hunters, some lived on fish, some traveled with the gigantic buffalo herds, some hunted deer and antelope, and some even went for really big game - woolly mammoths, America’s giant pre-historic elephants. 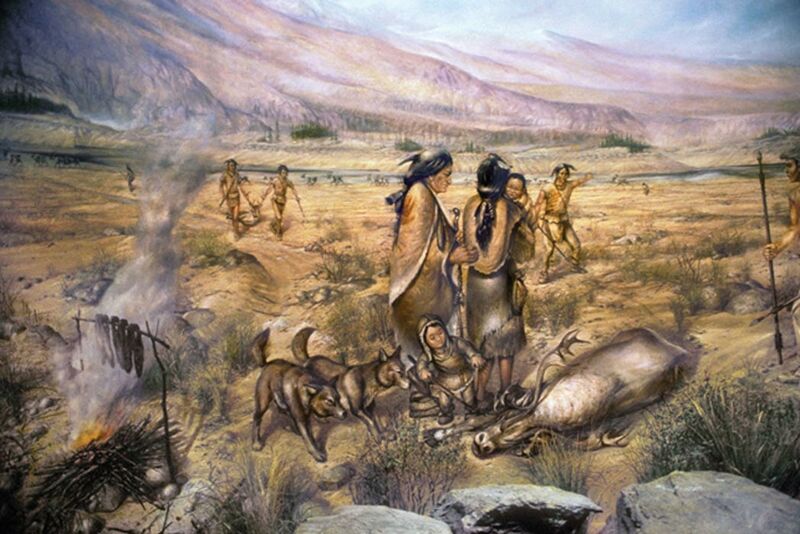 Eventually, the Paleo-Indians separated and lived independently from other sub groups, establishing their own civilizations, beliefs, skills, and even their own languages through the centuries. One of the most productive archeological sites in North America is located right here in South Dakota. About 24 years ago, an archeologist name Jim Pitts began excavating a site in western Custer county. This site was inhabited by Paleo-Indians who hunted in the area and processed and preserved the meat in preparation for the long, hard winters that can hit the Black Hills. 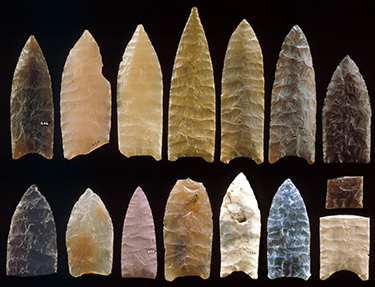 In South Dakota, as well as in other parts of the country, archeologists have discovered arrow and spear points and stone knives, finely chipped and as sharp as any metal knife or arrow point available today. Many of these stone weapons were flaked by a widely known Indian tribe known as the Clovis Indians who lived primarily in New Mexico. Point types found at the Jim Pitts site include Goshen, Folsom, and others. The Paleo-Indians were obviously skilled hunters and in many areas, regularly feasted on the largest mammal in North America. These gigantic animals were found throughout the Black Hills. 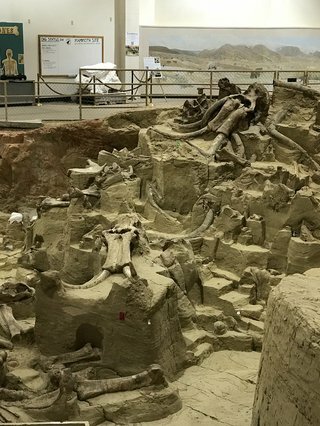 Evidence of their occupation is abundant at the Mammoth Site in Hot Springs, just a few miles south of the Jim Pitts archeological site in Custer County. It is also obvious that most Paleo Indian people were nomads. There is no evidence that these people stayed on one place for more than a season or two. Later on, in their individual tribal development, many descendents of the early tribes settled along rivers. Some even established farms and enjoyed a more “stable” lifestyle compared to their nomadic relatives. So, when we honor Native Americans, we should recognize that the proud tribes of today in their origins and their longevity, have been and are permanent part of the culture of both North and South America.